Corporate Job Bank is pleased to offer Paid Sick Leave and Medical Insurance to employees. Please see each section below for more information or refer to Corporate Job Bank’s Employee Handbook. CJB understands the need for work life balance and complies fully with the Fair Wages and Health Families Act. All CJB employees are eligible for Paid Sick Leave (PSL) to address circumstances caused by illness of an employee or an employee’s family member, a public health emergency, or domestic violence. Corporate Job Bank strictly prohibits retaliation against its employees for use of PSL in accordance with our policy. 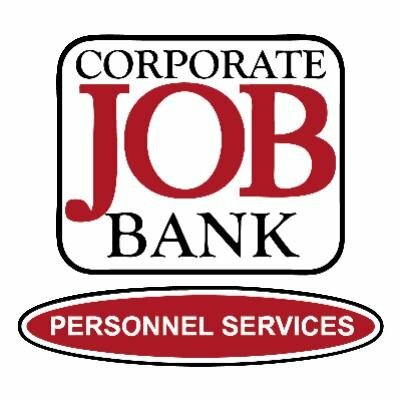 To notify Corporate Job Bank of foreseeable PSL use, please complete the PSL Notification Form using the link below, and return it to Corporate Job Bank via email at sickleave@corporatejobbank.com or via fax at 480-966-1992 five (5) days before your requested time off. You may also complete our web form using the Paid Sick Leave Link below. Failure to request PSL within the policy period will result in PSL being denied, and the time off being classified as a traditional absence subject to disciplinary action under Corporate Job Bank’s Mandatory Contact and Attendance Policies. For more information regarding acceptable use of PSL, please see the “Paid Sick Leave” section in Corporate Job Bank’s Employee Handbook. Corporate Job Bank’s Medical Insurance plan has been vetted to provide minimum value under the Affordable Care Act. At an employee’s time of hire, CJB will determine if he/she will be classified as a variable hour employee or a full-time employee based upon our client’s pre-determined schedule. This will determine the cost of the employee’s medical insurance premiums. For more information regarding medical coverage, please see the “Medical Insurance” section in the Employee Handbook or contact Corporate Job Bank. All new employees of Corporate Job Bank are required to view this brief training module on Hazardous Materials, Labelling and Safety Measures. You will sign an authorization as part of your employment package confirming you have watched and understand the material presented in this slideshow. Information regarding Bloodborne Pathogens can be found in the link to the manual below.